After that rain storm did you realize the gutters on your home are in need of a good cleaning? Well don’t get that dangerous ladder out of the garage, give River City Home Solutions a call and we will have those gutters cleaned in no time and leave your weekends to enjoying time with your family. Cleaning gutters is something we do well and go a step above the competition due to my knowledge of the home building industry having spent 10+ years as a home builder. If there is something wrong when we are cleaning your gutters I can suggest easy repairs or if the task is bigger then what I can handle I can recommend a local contractor to take a look and give you a free estimate. Cleaning gutters unfortunately is nessissary in Minnetonka due to the heavy tree cover, call the experts to get the job done right the first time! How will we clean the gutters on your Minnetonka home? We hand clean each section of gutter placing the gutter junk in a bucket to be later taken off site when we leave your property. After we are done cleaning your gutters by hand we break out the hose and flush your entire gutter system to make sure all blockages has been removed and your downspouts are flowing properly. 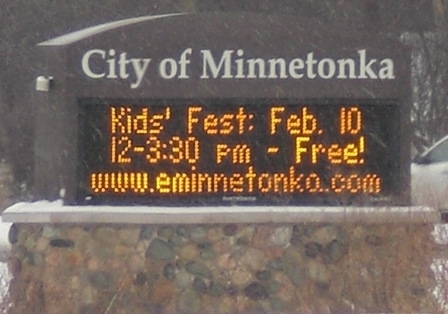 When should Minnetonka home owners get their gutters cleaned? The best time is in the fall after the leaves have fallen since going into winter there is little chance of anything clogging up your gutters so they are ready for the spring rains. The next most logical time to clean your gutters is in the spring before the rains. 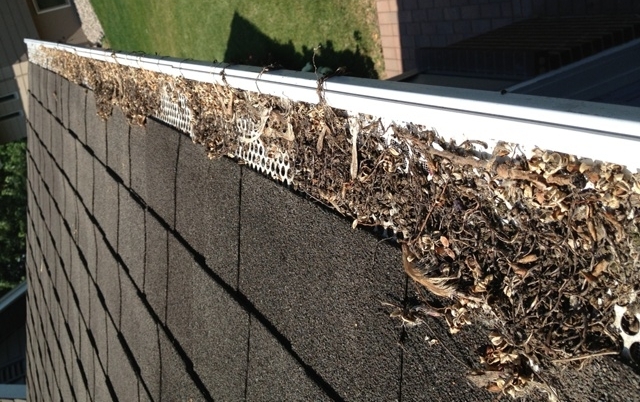 The only downfall to spring cleanings is often the rains start before your gutters are thawed and can be cleaned. The last time homeowners on Lake Minnetonka get their gutters cleaned is when a blockage occurs. Time is critical once your gutter system has failed and water is pooling and spilling over and falling straight down to your foundation. What can you help me with on my Minnetonka home while out cleaning my gutters? While cleaning the gutters we need to flush them with the hose and it is next to impossible for some of this water not to hit your windows. We do offer a reduced cost quick window clean for our gutter customers which is less detail compared to our full clean but I promise you will not be disappointed with the value. We can also do a full inside/outside window clean at time of gutter cleaning if you so desire. What do I need to do the day of cleaning on my Lake Minnetonka home? Besides ensuring the exterior water is turned on nothing! You won’t even have to be home when we perform the work since we do not need access to the inside of your house. So how do I get my gutters cleaned on my Minnetonka home? The first step is to contact me by either filling out our contact form with your full address; otherwise a phone call works too. Please make sure to leave your full address with your message. The next step is I will provide you with a free estimate and at that point it is up to you when you want to get your gutters cleaned on your home. I can typically fit gutter requests into the same week as being contacted. Gutter Cleaning – Need a gutter cleaner? Well give me a call and I will give you a no cost estimate. Cleaning gutters is important to ensure water is draining away from your home properly. Window Washing – No one likes looking through a dirty window! We are a SW Metro based window cleaner and would love to wash the windows on your Minnetonka home! Pressure Washing – Time to blast off the layers of dirt from that driveway or patio? We also do decks, whole homes, sidewalks, etc.